Los Angeles Superior Court Judge Holly Fujie will be the keynote speaker at the West Los Angeles JACL Chapter holiday dinner on Monday, Dec. 3. Former JACL National Executive Director John Tateishi will also be in attendance as an honored guest. Fujie is an attorney and former president of the State Bar of California who was appointed to the Los Angeles Superior Court by Gov. Jerry Brown in December 2011. 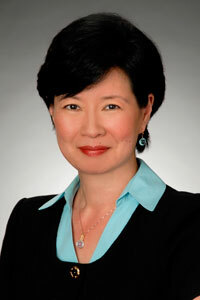 A graduate of UC Berkeley and its School of Law, she was a litigation partner at Buchalter Nemer in Los Angeles. Prior to that, she was with the law firms of Rosen Wachtell & Gilbert, Rogers & Wells, Morgan Lewis & Bockius, and Adams Duque & Hazeltine. Tateishi, as JACL national redress director, helped lead the campaign seeking reparations and an apology for Japanese Americans interned during World War II.